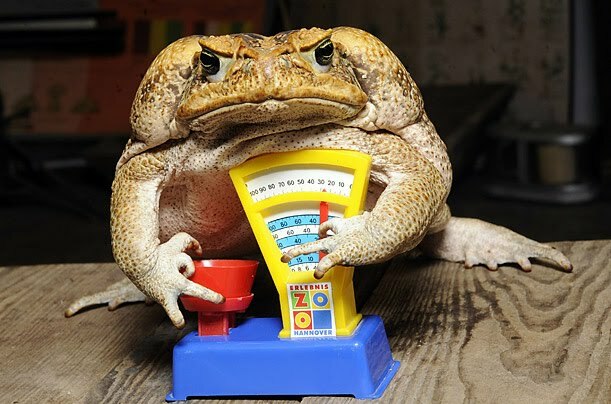 This fine heavy weight toad champ is Agathe and he sits on a toy scale during an inventory at the zoo in Hanover, central Germany. All habitants of the zoo are to be counted, weighed and measured during the week-long inventory. Agathe weighed 1850 grams.